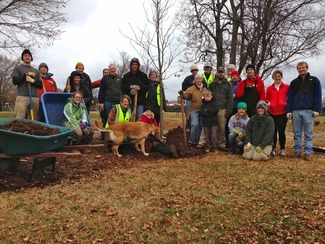 The mission of Richmond’s trained, volunteer Tree Stewards is to promote and improve the health of city trees to assure the city’s forest will survive and thrive. This is accomplished by increasing public awareness through community education, planning and planting for the future, and providing maintenance and care for young trees on streets and in parks. Tree Stewards work closely with Urban Forestry and with other organizations interested in the health of our community forest.